There are a few things that make Tim Godfrey – fearlessness, energy, reckless faith, the ability to turn a bored audience into one with chairs lifted high in minutes. That’s why we love him, love to see him at our events and most of all, look forward to his annual Fearless Concert. For starters, the Fearless concert is a gospel concert borne out of the need to create a platform to celebrate the work of Jesus on the cross and the victory it gives to believers. The worship event made its debut in 2016 with Marvin Sapp as its headline artiste and had over 6000 worshipers in attendance. It didn’t stop in 2016. In 2017, Tim Godfrey hosted Kirk Franklin in Nigeria at his concert, saying it was a dream come true to be able to have one he considered a mentor to headline his event. He hasn’t stopped dreaming though. This year’s edition of the concert which has been aptly tagged the Fearless Victory and Crossover tour will hold between the 25th to 29th July in 5 major cities across Nigeria – Uyo, Port-Harcourt, Lagos, Abia and Abuja. And the headlining artiste for this year’s edition of the tour is the all time Nigeria favourite – Travis Greene. 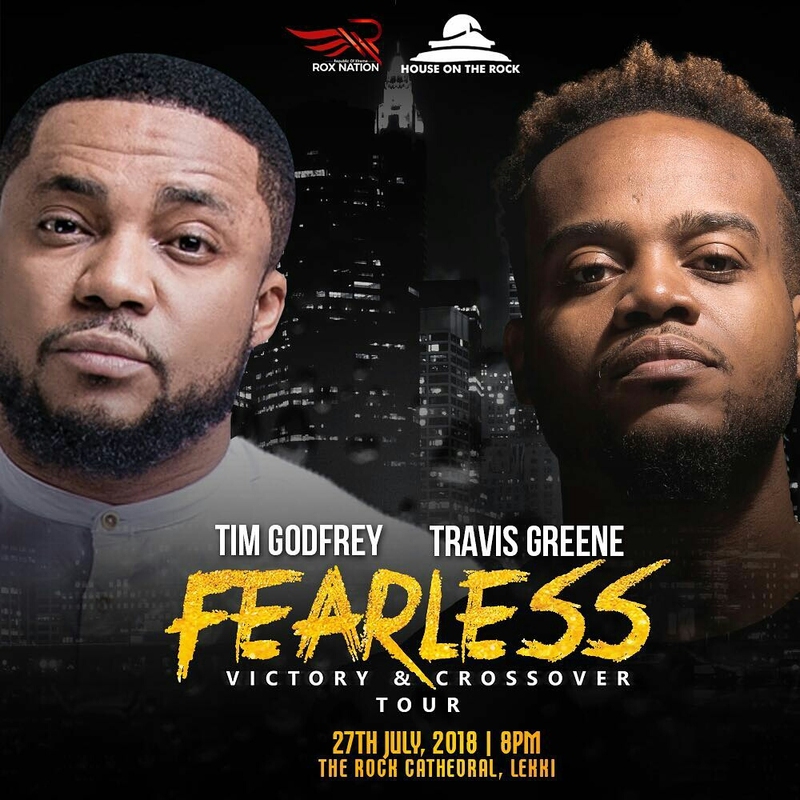 Tim Godfrey is taking Fearless Concert 2018 a notch higher with the Fearless Tour and you surely do not want to miss out on what is about to come. Let the countdown to this groundbreaking event begin. [The Church Blog] Who else noticed TY Bello at the #FearlessConcert?